Here’s a Bollywood story that is as sad as it is touching and amazingly true. It’s got to do with the industry’s Hero of 2019, the Kesari superstar Akshay Kumar, who’s quietly been doing big acts of charity and performing unparalleled deeds of kindness that have made him the ‘People’s Champion’ of the industry. In September 2017, two Bollywood stuntmen who were working on a Malayalam film met with a road accident in Hunsur town on the Bengaluru-Mysore highway that proved fatal to one of them. Abdul Sattar Munna died on the spot while Arun Yadav was admitted to the Vrindavan Hospital nearby with grievous injuries. Yesterday, the Movie Stunt Artistes Association general secretary Aejaz Gulab sent Akshay an emotional message thanking the actor for starting group personal accident insurance policies and group mediclaim insurance policies for all artistes and duplicates in Bollywood doing stunt and action work in films. It is because of these insurance policies that the bereaved family of stuntman Munna received a cheque of Rs. 20 lakh from New India Assurance Company Limited yesterday while Arun’s hospital expenses came out of his mediclaim policy with ICICI Lombard General Insurance Company Limited. In his heartfelt message, Aejaz told Akshay that all the stunt artistes of Bollywood wanted to meet him and thank him personally for what he had started. For the first couple of years, the accident claims were five or six a year, and for minor incidents that happened on the sets that left stuntmen injured and out of work. “But they all got good treatment in reputable hospitals and this was all cashless thanks to Akshay Sir,” Aejaz said. Then this accident happened. Now the Movie Stunt Artistes Association is trying to get Akshay to see if he can get the insurance companies to cover critical illnesses of old and senior members in their policies as well. “He has got a big heart, nothing is impossible for him,” Aejaz said fervently about the Bollywood actor. He revealed one little known fact to PeepingMoon.com. 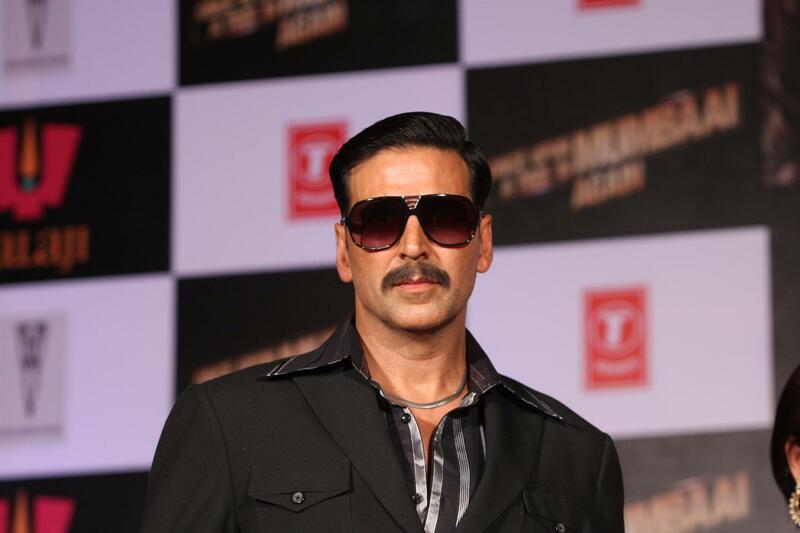 “Everybody calls Akshay Sir the Khiladi because he performs his own stunts. He is a daredevil. But do you know that for such death-defying stunts, duplicate artistes are paid Rs. 50-75,000 extra by the producer? What Akshay Sir does after pulling off such a stunt himself is to collect that extra money and hand it over to the duplicate who ought to have been taking his place.” We did not know this. But now we do. And our respect for Akshay Kumar has sky-rocketed.